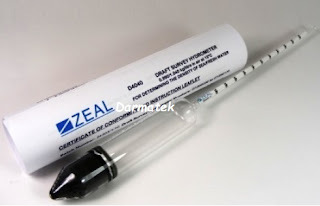 Draft Survey Hydrometer by Zeal is suitable for use in sea or fresh water. It was specially designed in collaboration with S.G.S. Van Bree N.V., Antwerp, member of the Société Générale de Sur-veillance S.A. Geneva, to ensure that when carrying out a Draft Survey on cargo carrying vessels the weight to volume relationship of the supporting water was precisely measured and accurately reported. Not all Hydrometers on sale are manufactured to the very high standards of Zeal whose quality is universally relied upon. 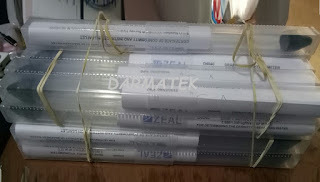 Glass Draft Survey Hydrometer Zeal D4040 Supplied singles with certificate of conformity and instructions.